For over a month, the U.S. government’s indecision on spending plans has brought parts of the administration to a standstill. On 12 January 2019 the closure became the longest government shutdown in American history, and over a week later there is still no end in sight. Among the hardest hit are the civil servants who are unsure when they will receive their next paycheck; the New York Times estimates that a staggering 800,000 employees have been affected. As a second payday approaches without any change, people are faced with the harsh reality of not being able to put dinner on the table. 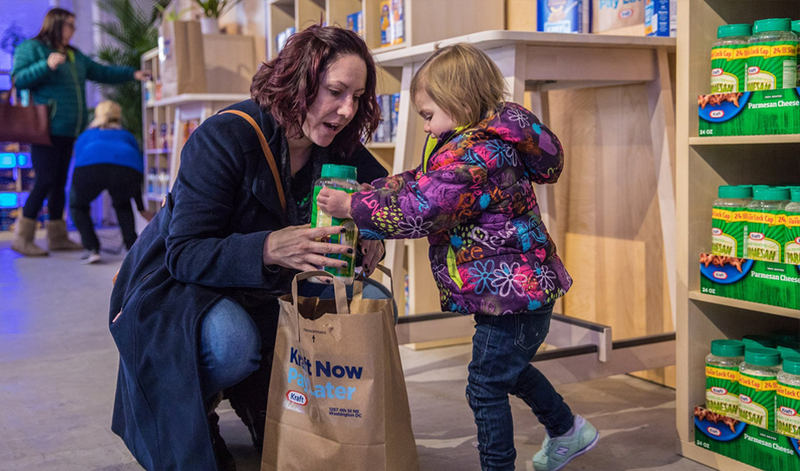 Offering a much-needed helping hand in this time of need, Kraft Food Group kind-heartedly stepped in with a generous pop-up store in Washington D.C. that provided free food for those left without an income to ensure they would be able to feed their families. Those holding a government ID could take home a bag full Kraft products, including popular dishes like Kraft Mac and Cheese, Kraft American cheese singles, salad dressing and mayonnaise; enough food for several family meals. 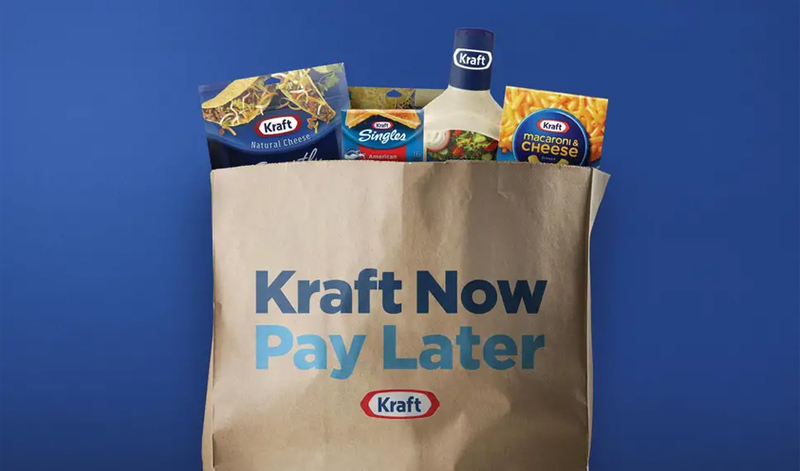 The altruistic brand experience, called ‘Kraft now, pay later’ asked people to make a charitable donation in return (if and when they were once again able to). For those who wanted to help, a Facebook page was set up with more information, which has since been flooded with heartfelt messages from grateful recipients. To extend the helping hand even further, Kraft donated over one million meals to Feeding America, to ensure food banks are well stocked if the shutdown keeps going. The cause-driven marketing campaign from Kraft shows a commitment to its loyal customers as well as winning the hearts and minds of potentially new shoppers; nurturing and building brand love. 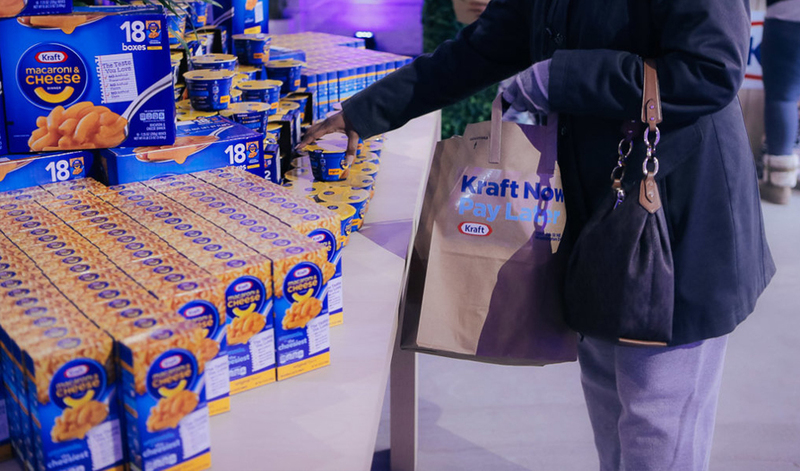 As the shutdown continued, Kraft also released an open letter to say the lease for the pop-up shop had been extended and requested help from other brands to fill the shelves, which helped to amplify the message on social media. This isn’t the first time we’ve seen a brand use experiential marketing to help people in need. BBVA’s Water Dispensing ATM addressed the ongoing issue of dirty water in third-world ccountries, and The Salvation Army’s poverty tour experience raised awareness of everyday poverty in Canada.